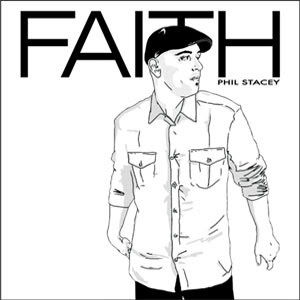 New Release - Phil Stacey "Faith"
The latest from Phil Stacey is finally out today! Check out "Faith" today! Thanks be to God, who delivers me through Jesus Christ our Lord! So then, I myself in my mind am a slave to God’s law, but in my sinful nature[a] a slave to the law of sin. sore! I have to say that this new journey with Mike and P90X is good, but man...I did not realize just how out of shape I really was...well am. I must say that I have been very impressed with each routine so far and I know that I like the fact that each day is a new routine...so Mike or I won't get board. AND I have watched the infomercial for P90X. I have to say that I am impressed with the testimonials that I heard. I of course found P90X on Facebook...well because it's Facebook...and I wanted to see other testimonies. My goal is to be a good example for my children, and to get more fit. Not only w/ the P90X, but also with karate, walking and of course...when I can...the gym. The best thing about this so far...Mike & I are doing this together. That truly makes me happy! OK...so day 4 down only 26 days to goal #1. One day at a time...one pound at a time...that is my battle cry! Oh...and I know I need to take the pictures...and I will...but I don't think I'll post them until day 30.
is it? Oh yeah, Thursday! This week has just flown by and I want to remember all the good things that have happened this week. It seems that the days are going faster now more than before, and yet I feel like I am really just beginning to live. 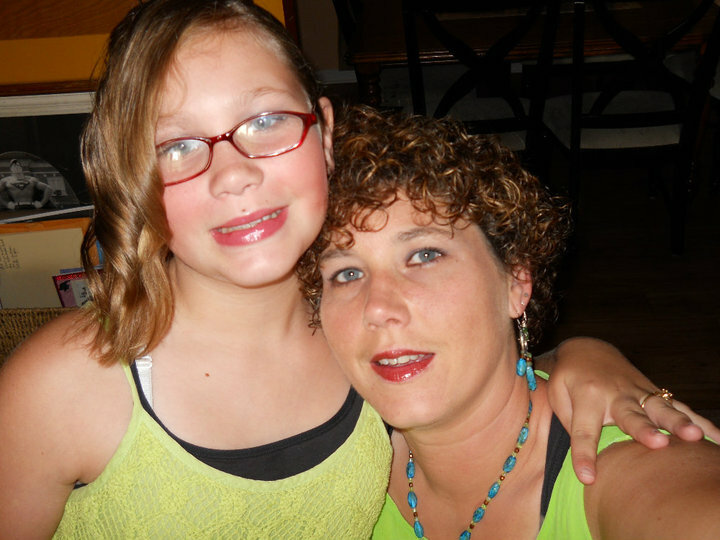 Monday my beautiful daughter celebrated her 12th birthday! She is amazing and I don't want to miss a moment of her time with me. We are having a small gathering of friends over for Friday to celebrate. We are having a "Tea" with her friends. That should be a lot of fun. Tuesday was my first day back at BNI (Business Networking International). I really enjoy BNI, it's such a great way to stay connected with other businesses and continue to make new contacts for 90.7 WAY Radio. The downside of Tuesday was I was beginning to feel congested. Something bloomed and it was causing me to cough and feel sinus pressure. Side note...Monday the whole family began P90X. I tell you what I am still sore! My personal goal is to lose 20 lbs in 90 days. I believe this is reasonable...I'll do my best to keep track. Yesterday, Wednesday, was crazy busy...and I have to say I was a bit under the gun, but with God's help I was able to get everything finished up. I had a promotion script to write up and get on the air, we had the band 33 Miles in the studio with a couple of our listeners that won a Facebook contest, and we had so much fun! Chris and Jason are so gracious and I really appreciated them coming in for an hour. We also enjoyed a very nice breakfast from P&D Deli. They have real good breakfast food. By mid day I was feeling lousy...just awful...I don't like being "sick". We made it to church and Pastor Scott did such a great job with teaching Ephesians 4: 1-6. Well here it is, Thursday afternoon, and it was a slow start of the day. I did not have a voice this morning so I did not go into work. Kind of hard to talk for a living and have no voice. So I stayed in the bed until 10ish and I took some more meds. Feeling a bit better, but time for another Halls. I want so much for my throat to feel better. I have a small get together going on this evening and I think that will be fun. Mike's been working a lot more lately. He has 6 catering jobs this month and is working on 4 drafting jobs. I am so thankful that business is picking up. We have been praying for more work to come in and we are just praising God for the work we have. So Friday is the birthday party & then Saturday is karate...I don't know if I'll get a chance to blog again, but I wanted to make sure that I preserve these memories for years to come. was a Sunday. I remember that day well & pray I always do. I remember not going to church that morning. I was tired & having contractions. 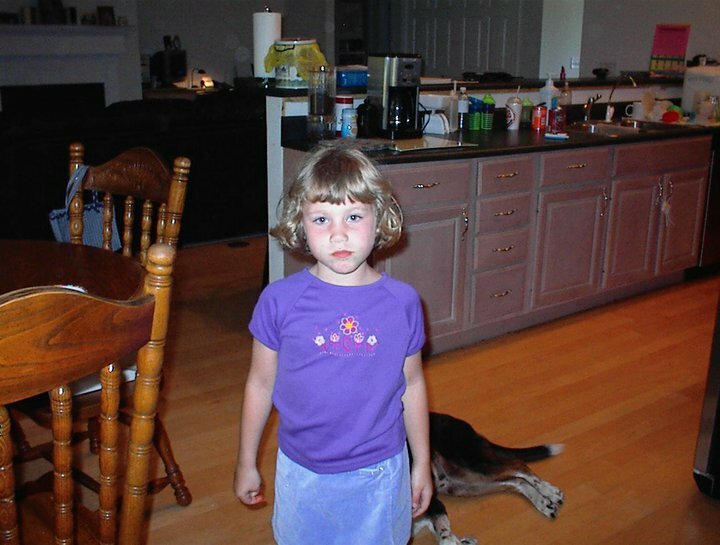 I remember wanting my 3 dogs clean! And I remember at 1pm my husband took me to the hospital, because I knew that it was time. 12 years ago at 8:06pm I was blessed by God with a daughter, my only daughter. I remember my father-in-law & my step mother-in-law being there in the room with us. I remember being very very tired, but overwhelmed with a love that I had never experienced before and that was the day that I first got just a small glimpse of God's love for us, for me. Though I try my best to be a good mom, I know that I fall short. I see it, but she loves me. I have done the best that I can with equipping her with truth and love and to know who Jesus is. She has accepted Christ as her personal Lord and Savior and I have watched her grow more at 12 then I did, and that is an amazing sight. As a parent, I have been convicted to teach my children the truth of who God is, and to allow God's Spirit to work within her. Luke 1:47-49 (Amplified Bible) says, "And my spirit rejoices in God my Savior, for He has looked upon the low station and humiliation of His handmaiden. For behold, from now on all generations [of all ages] will call me blessed and declare me happy and to be envied! For He Who is almighty has done great things for me--and holy is His name [to be venerated in His purity, majesty and glory]! It is hard to watch my children grow, and for my daughter who is now a true pre-teen, my thoughts are of when "I was that age", and I pray that she makes wiser decisions than what I did, but I know that God has a plan for her life & I am excited to see where He is taking her. Happy Birthday, Nichole, I love you. I am so excited about the release of Francesca Battistelli's new CD Hundred More Years, Francesca has had a fun, fast paced ride on life's roller coaster the last few years. Her debut music album, My Paper Heart was a major hit(not to mention my daughter loves every song on the album). She was awarded as the 2009 GMA Dove Awards Female Vocalist of the Year. She's married and this past September gave birth to a beautiful baby boy. 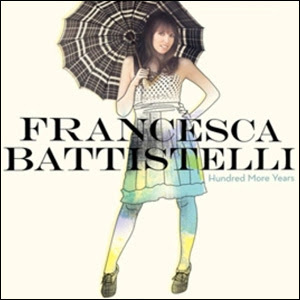 She's on top of the world and is ready for a second album entitled, Hundred More Years. The first single from this album, This Is The Stuff, will be released to Christian radio and will be available as a music dowload on iTunes. Tenth Avenue North Live: Inside And In Between Listen to your favorite Tenth Avenue North songs from their 2010 year of tour. Experience live versions of fan favorites including "By Your Side", "Hold My Heart" and "Healing Begins". Much more than a concert video, this live CD/DVD set includes a 45-minute visual journey showcasing the very heart of Tenth Avenue North. Have you been missing Audio Adrenaline? Me too. After a three-year departure, Audio Adrenaline lead singer Mark Stuart and bassist Will McGinniss return with some of their favorite emerging voices of worship as the Know Hope Collective, a ground-breaking initiative that combines worship music with stories of hope and inspiration. The Know Hope Collective will be an ever-changing group of musicians from a variety of backgrounds who come together to create worship music and share their unique experiences and testimonies. The group introduces new cuts, including "Attention" and "Jealous God," and reworks some Audio A hits like "Ocean Floor," "The Good Life," and "Hands and Feet"